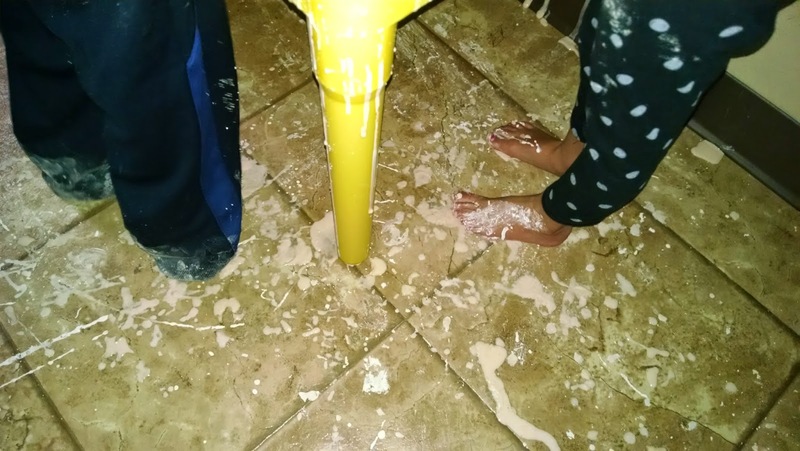 We tried out a new sensory activity: goop . I found the recipe on Pinterest and thought it looked cool so we gave it a try. 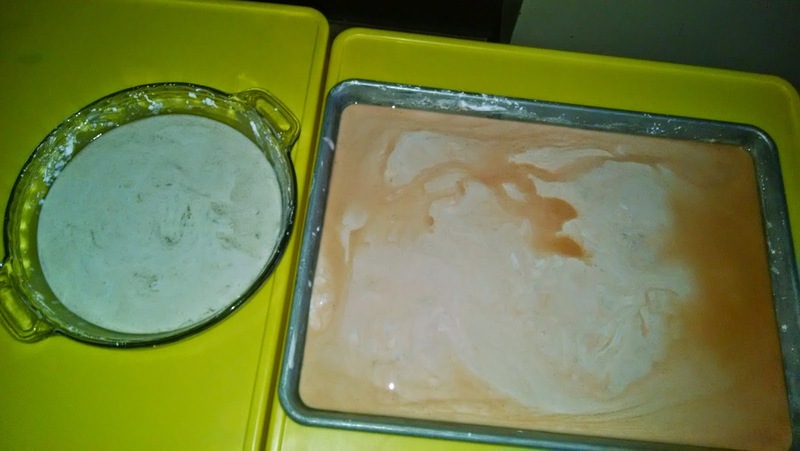 I used this recipe: http://happyhooligans.ca/2-ingredient-goop-recipe/ and added in Pumpkin Pie Spice and orange food coloring. The consistency and feeling of it is unique. Unlike any other sensory activities we've done. The kids had fun with it. BUT....goop is some stuff is messy! The kids here really like to get involved in the sensory activity. They're only kids once so why not let them??!!?? Unlike the Pumpkin "Sand" (http://ashlen-kidspert.blogspot.com/search?q=pumpkin+sand) or Apple "Snow" (http://ashlen-kidspert.blogspot.com/2014/10/apple-snow.html) this does not just wipe off of clothes, hands, faces, hair, etc. easily. 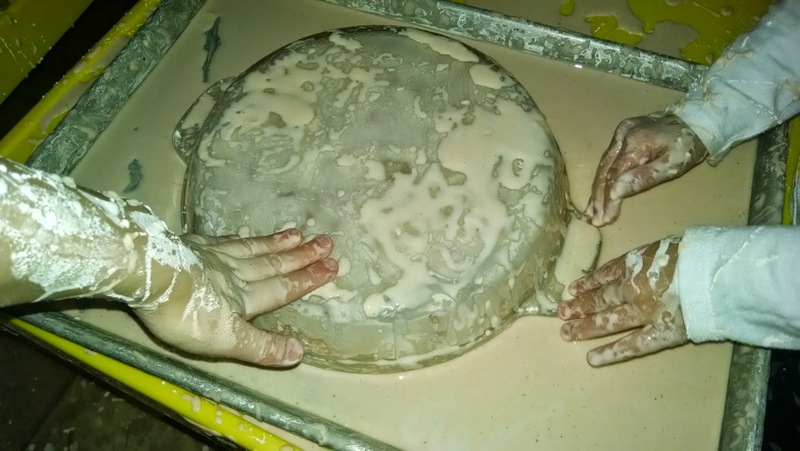 Most of the kids had a blast with the goop (several kids wouldn't touch it). The next time we play with goop, I'll do it slightly differently--like, maybe in the summer when I can just hose the kiddies off! Or put it in the water table so it's better contained. 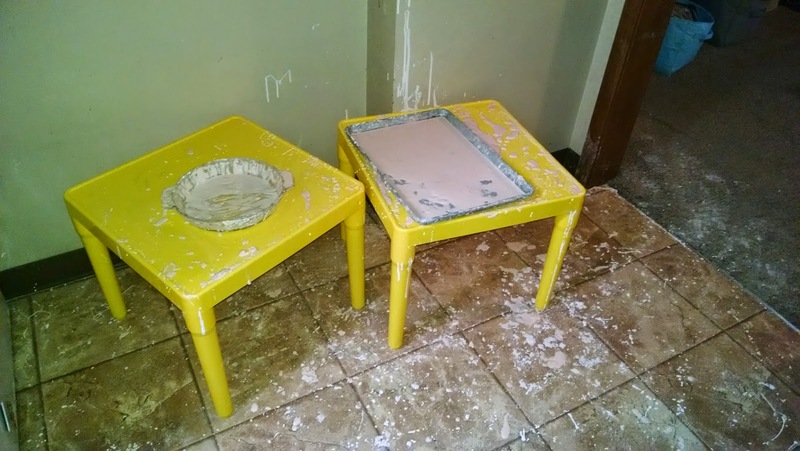 It cannot be treated like the homemade play doughs, sand or snow we make. Learn from my mistake: definitely an outside activity!